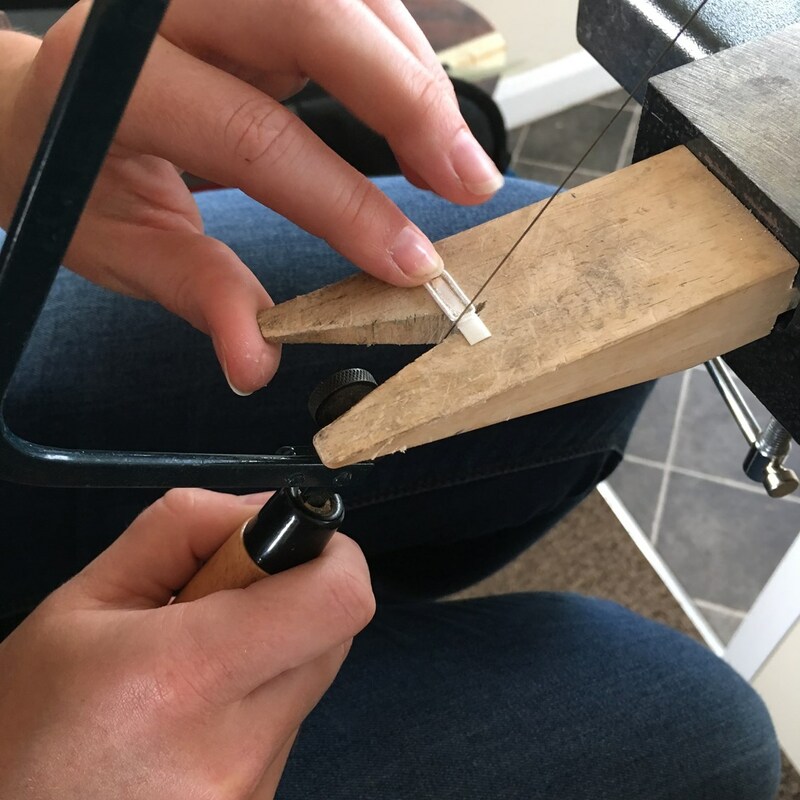 Silversmithing is one of the most exciting areas of jewellery making as it gives you complete freedom to create something totally unique to to your own design. Whether you are cutting and forming metal, or simply soldering jump rings you will no doubt have some questions about techniques and where to start. Here we answer some of your most frequently asked questions. WHAT SOLDER SHOULD I USE? - EXTRA EASY, EASY, MEDIUM OR HARD? This depends on how many times you are going to solder the item you are making. Each of the grades of solder flow at a different temperature allowing multiple solders to be carried out on one piece of work. The hard solder flows at the highest temperature, so would be used first and the medium, easy and extra easy would flow at a decreasing temperatures accordingly. We would not recommend more than 2 solder joins with each grade on one piece. IS SOLDER PASTE EASIER TO USE? You can use either solder strips or solder paste to solder sterling silver but the solder paste is much easier to use as you do not need to use separate flux. We would recommend keeping it in an airtight bag when not in use and keeping the cap on to prevent it drying out. The solder strips have a longer shelf life, but you will need to use a separate flux. DO I NEED BOTH ARGOTECT AND TENACITY FLUX TO DO MY SOLDERING? You will only need to choose one or the other as they are both fluxes. 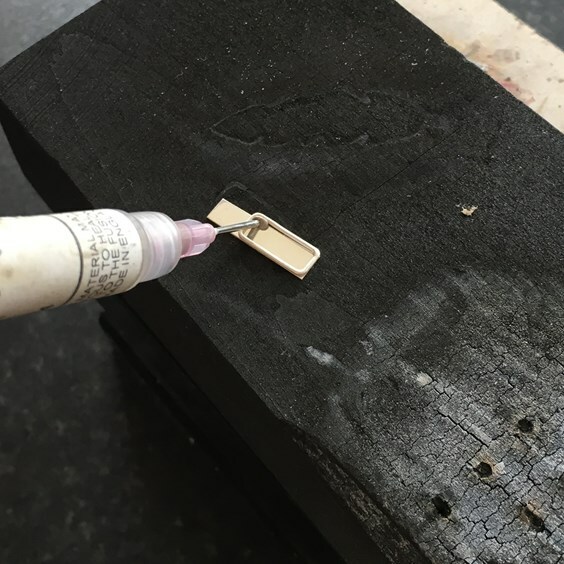 The advantage of argotect is that it is usable with all grades of solder and helps to protect against fire stain (oxides raised in the metal when soldering). Both are used by mixing to a single cream consistency but tenacity flux can only be used with the higher temperature fluxes i.e. : medium and hard. 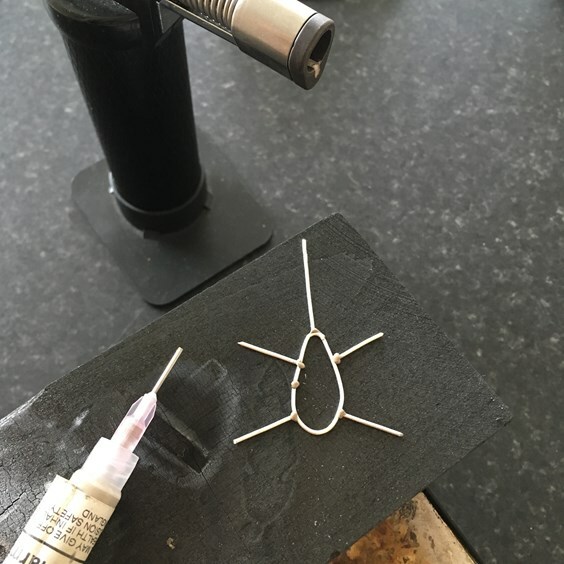 CAN I SOLDER STERLING SILVER WITH A SOLDERING IRON? A soldering iron will not be suitable for soldering sterling silver. You will need to use a gas torch to achieve the correct temperature. CAN I SOLDER PLATED FINDINGS? Plated items are not suitable for soldering. 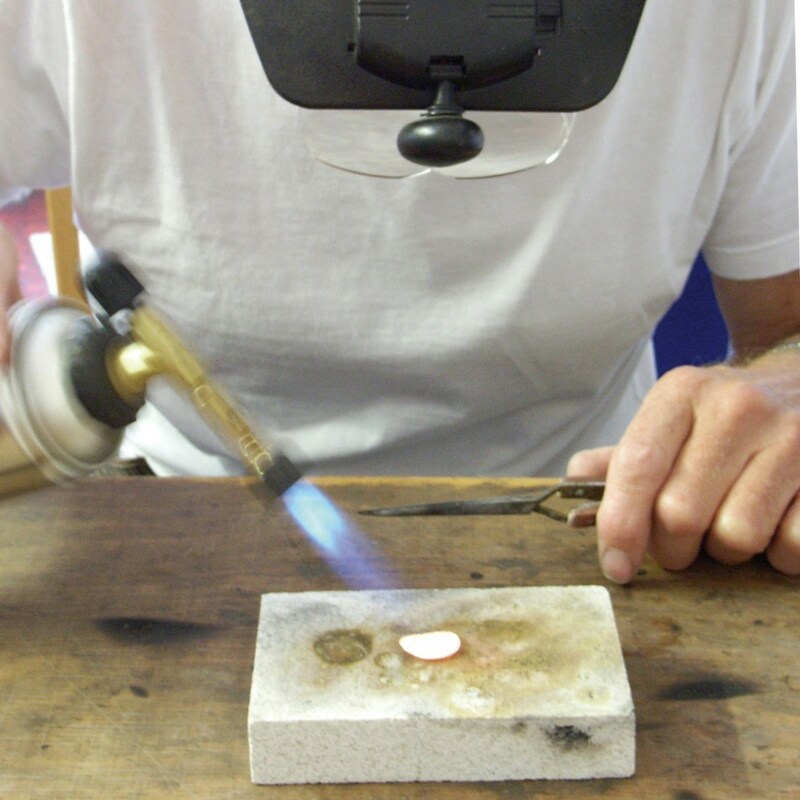 The plating would be damaged by the heat and it is likely that the base metal would not get hot enough to solder. HOW DO I USE THE BORAX CONE AND DISH? Grind the borax cone in the dish and mix with water to achieve a creamy paste. This can be used with all solder and will make the solder flow. You can put your solder pallions into the paste and then put the coated solder onto the item for soldering using the brush. I AM NEW TO SILVERSMITHING AND WANT TO BUY A PIERCING SAW TO CUT METAL. WHICH OF THE SAW BLADES WOULD BE BEST FOR ME TO USE? All grades of blades will cut any thickness of metal, but the amount of metal removed will be more when using the coarse blade. Fine blades are more liable to break, so we would recommend beginners use the medium blades. HOW DO I PIERCE METAL SHEET? For piercing work, first drill a pilot hole with at least a 0.6mm drill bit, then (having removed one end of the blade from your saw frame) insert the blade through the hole and reattach in the frame to allow you to cut your shape. HOW DO I PREENT MY SAW BLADE FROM SNAPPING? For smooth cutting us beeswax as a lubricant on your blade - this makes a surprising difference. It stops the blade from sticking and helps the blade glide much more smoothly through the metal which in turn allows you to put less pressure on the blade leaving less risk of the blade snapping! WHAT IS THE BEST WIRE TO USE TO MAKE MY OWN JUMP RINGS? It depends on your personal preference and how big you want to make the jump rings. Wire from 0.6mm or 0.8mm in diameter should be suitable for a most medium sized jump rings. WHAT IS THE BEST WIRE TO MAKE MY OWN EARWIRES WITH? In our experience we have found that the most popular wire to make earwires is the round sterling silver wire in 0.8mm diameter. WHAT GLUE SHOULD I USE TO SET MY STONES? Devcon 5 minute epoxy glue is our recommended glue for all of your jewellery making needs. It is a 2 part e-poxy glue which dries clear and very quickly. Do not use superglue as it is not suitable and will not hold your stone in place. IS THERE A TOOL I CAN USE FOR DRILLING, SANDING & POLISHING METAL? The Dremel series is an excellent multitool for silversmiths. Due to the multitude of accessories that will fit with this hand held tool, you can use the Dremel for detailed sanding, carving, engraving, cutting, drilling, grinding, cleaning and polishing. 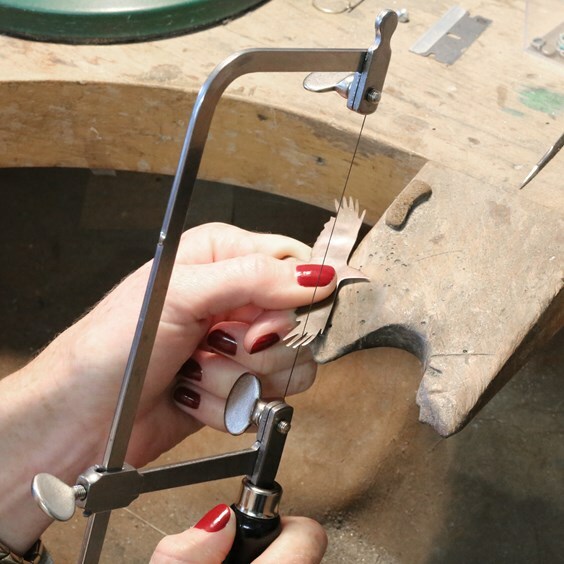 What is also particularly useful for jewellery makers is the flexible shaft which gives you fingertip control for detailed work. This is a very useful tool for any silversmith or jewellery maker and is well recommended. If there you have any questions that are not covered on this page, please feel free to get in touch - we would love to hear from you.